It is my pleasure to present to you the Annual Report for the Assembly Standing Committee on Small Business. Throughout the 2001 legislative session, the Committee remained dedicated to the creation of new small business enterprises. This desire to assist entrepreneurs led to the Committee's support of several new initiatives. One such proposal sought to establish kitchen incubators that would facilitate individuals' desire to become food business owners -- a pursuit which in turn would create jobs for the surrounding area. Another measure allowed business incubator facilities to provide business and financial planning services to eligible entrepreneurs. The Small Business Committee also introduced legislation aimed at assisting small businesses in complying with environmental laws and regulations. One highlight of this package was the Small Business Environmental Compliance Fund. This program would assist companies in leveraging loans from private lenders for the acquisition of pollution control equipment. Traditionally, both private and public sources of financing have avoided small business lending for environmental compliance due to the higher risks and administrative costs of these loans. The Committee will continue to examine the full range of issues affecting the small business workplace and its capitalization needs. We look forward to playing an active and productive role in these areas in 2002. I join with my colleagues on the Small Business Committee in commending you for your commitment and support of small business development. The Committee eagerly anticipates another session under your leadership, pursuing efforts to create a healthy environment for small businesses to prosper in New York State. The New York small business sector continues to prove itself the driving force in the State's economy. Small businesses are defined in State law as those employing one hundred or fewer people. This includes over one million businesses in New York State, comprising 99% of the State's businesses and employing over 55% of the State's workforce. These companies often need help in advancing to a level of profitability where they can move forward and create jobs. Small businesses that fail to grow often are unable to gain access to needed capital and other means of assistance. The Small Business Committee believes that the State must focus more attention on the sector of the business community that creates nearly eight out of every ten jobs. New York State has experienced a resurgence of entrepreneurship in the last ten years. This trend has been fueled by economic growth that continues to stimulate small business formation and has made it easier for emerging businesses to survive. Minority and women-owned businesses have become the fastest growing segment among entrepreneurs, and those populations are well represented in New York. It is estimated that between 1987 and 1996, the number of women-owned firms in New York State increased by 70%, just slightly above the national average of 67%. In addition, a surprising number of home-based businesses have also appeared in recent years, causing some economists to conclude that very small businesses (those comprising ten or fewer employees) are increasingly becoming major players in the State's economy. It is estimated that four out of every five small businesses (81%) in New York have fewer than ten employees, and nearly two-thirds (65%) have fewer than five employees. The importance of these small ventures cannot be overstated: by testing new ideas, products, and processes, they are re-inventing New York State's future in the global marketplace. However, small businesses need to be prepared for the challenges and changes being forecast by economists. Emerging trends and developments in the areas of small business ownership, labor force requirements, new technologies, business commerce, and financial markets will impact small business in the future. The makeup of small businesses and entrepreneurs is expected to dramatically change in the next 10-15 years as major demographic shifts create new profiles of business owners. The new small business owner is more likely to be older, female, Hispanic or African-American. A decline in the supply of younger workers (25-44 years old), the principle source of new entrepreneurs, may result in a temporary reduction in new business start-ups. At the same time, as the number of older owners/managers leave the labor force, the closing rates for smaller businesses may increase dramatically. Together, these two factors could cause a temporary decline in the number of small businesses. Economists are predicting a decline in the workforce for small businesses. The country has shifted from a manufacturing economy to a services economy, and is currently experiencing record-low levels of unemployment. Thus, small business owners should be prepared for the likelihood of worker shortages through the next 15 years. One of the most significant areas of change for small business has and will continue to be in the use of the internet and e-commerce. The internet will encourage the growth of market-niche, home-based, and virtual businesses. The ability to collect, process, and use the information through the internet may be a necessary condition for competitive firms in the future. As the internet and related technologies fuel the ability of smaller companies to grow and improve their operations, new technologies also will allow smaller firms to exploit market opportunities that were once reserved for larger corporations. These new technologies include biotechnology, microelectronics, micro-electro-mechanical systems, and wide-bandwidth communications. E-commerce opportunities will expand rapidly for small businesses, including business-to-consumer and business-to-business. Small businesses must also be prepared to accept changes in financing as well. Financing could come from a broader range of sources, especially non-traditional financial institutions. More frequently, small and emerging businesses will find that their capital could come in foreign denominations and through the internet. The mission of the Small Business Committee is to serve as an advocate for small business owners by ensuring that small business interests are represented and not lost in the legislative process. 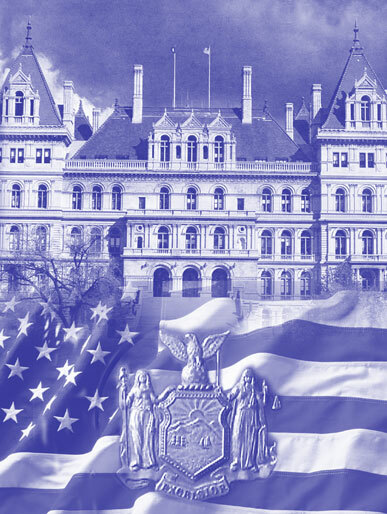 New York State statutes affected by legislation before the Small Business Committee include the Banking Law, Tax Law, Economic Development Law, State Finance Law, Public Authorities Law, Labor Law, and the Civil Practice Law and Rules. Although the Committee's areas of concern are wide-ranging, many bills that affect small businesses are integrally related to the jurisdictions of other Assembly committees. As a result, many small business issues, such as changes in taxation, economic development programs, insurance, State agencies' regulatory practices, and employee benefit programs, are not directly within the jurisdiction of the Small Business Committee. These and many other issues of importance to small businesses are referred to other Assembly committees which have direct jurisdiction over such subjects. They include the Committees on Economic Development, Job Creation, Commerce and Industry; Banks; Labor; Insurance; Governmental Operations; and Ways and Means. The Small Business Committee remains involved by working closely with these committees. The Committee also works closely with a number of State agencies and public authorities to ensure that they are serving the needs of the small business community, including the Department of Economic Development (DED), the New York Office of Science, Technology and Academic Research (NYSTAR) (formerly known as the Science and Technology Foundation), the Job Development Authority (JDA), the Empire State Development Corporation (ESDC), and the Urban Development Corporation (UDC -- a public authority of ESDC), which are the State's chief economic development entities. The Committee also oversees the work of the State University of New York in administering the Small Business Development Centers (SBDC) Program. During the 2001 Legislative Session, the Standing Committee on Small Business reported nine bills favorably. A total of twelve bills passed the Assembly that originated in the Small Business Committee. In addition, a number of bills that were of importance to small firms but were referred to other committees, became law with the assistance and input of the Small Business Committee. The Committee will continue to be active in Assembly and State efforts to advance the needs of small businesses, while also advocating reforms to improve New York State's business climate. Minority-and Women-Owned Business Development and Lending Programs ($2.83 million) make available capital for local loan funds targeted to small "micro loans" for the start-up of minority and women-owned businesses and provide funding for program activities in economically distressed and highly distressed areas. Centers for Advanced Technology (CATs), that work with New York companies on the development of new technologies and products, which in turn create new businesses and high quality jobs throughout the State, were fully funded at $15 million for the existing CATs. In addition, CATs also received $10 million for special developmental initiatives. Technology Development Organizations (TDOs), which provide technical assistance to high-tech companies seeking to remain competitive, were funded at a total of $1.5 million. Industrial Technology Extension Services (ITES) received $1 million. ITES field agents located throughout the State provide technical and managerial assistance to small and mid-sized New York manufacturers seeking to improve their competitiveness. Small businesses often need help advancing to a level of profitability where they can expand and create jobs. The Business Outreach Center Network, Inc. (BOC), a not-for-profit corporation, has a successfully piloted and innovated approach to support small business development within New York City and Connecticut. The BOC model maximizes the use of existing economic development resources, addresses the need for pre-loan and post-loan technical assistance, and increases the resources available to entrepreneurs through a unique process of coordinated networking at every stage of business development. The BOC Network plays a vital role in the job creation equation. It serves as a vital resource to small businesses by facilitating access to the complex infrastructure of economic development programs and services, connecting small businesses to needed information, capital and technical assistance. It helps local development organizations support sustainable growth in the small business sector. This bill would establish the BOC Network Assistance Program in statute within the DED. Additionally, the bill would authorize the establishment of additional business outreach centers throughout the State. Credit unions often serve clients in areas not served by traditional banking institutions. With the increase in the number and importance of small businesses in our economy, it is vital that all areas of the State have access to financial institutions. The Excelsior Linked Deposit Program was created to help fill a gap in the lending arena that traditional financial institutions were not able to fill. By including state and federal credit unions in the program, small businesses would have greater access to loans within their own communities. The State Small Business Innovation Research (SBIR) Program, which began in FY 1984-1985, was designed to provide assistance to New York's newer high-technology companies. This assistance helps them compete for a greater share of the federal research contracts under the federal SBIR program. The State program was highly successful, increasing the amount of federal SBIR dollars coming into the State from under $5 million annually to over $30 million by 1991. Just as important, State assistance under this program greatly increased the success of federal SBIR Phase I award winners in their ability to compete for much larger SBIR Phase II awards. Although the State SBIR statute remains in effect, the State stopped funding the program after its initial success, in part because of disagreement over how to allocate limited funds among the rapidly increasing number of federal SBIR award winners. Consequently, New York State, which had moved from sixth to third place among other states for Phase I winners, slipped back to fifth place since funding for the State program ceased. This bill clarifies how funds will be allocated so that the program can begin anew to assist small high-technology companies for federal SBIR funds which will help them grow and provide new jobs for New York's residents. There are three primary components to ensuring a fiscally sound retirement: pensions, social security, and savings. Many New Yorkers are slowly realizing that relying on one or two of these components alone will be inadequate; all three components must be drawn upon to ensure a stable and comfortable retirement. Nationally, only 20% of small business employees are earning pension benefits, compared with 51% of all full-time private-sector employees. This discrepancy makes it hard for small businesses to attract and retain the skilled and educated work force necessary in today's rapidly evolving and highly competitive marketplace. Allowing small businesses and their employees a more readily accessible retirement savings program would allow greater recruitment potential, and ultimately greater success by many small businesses in the State. This bill would help achieve this by allowing a "pooling" program designed to lower costs incurred by small businesses in providing federal IRA's and 401k's to their employees. This proposal would allow the New York State Small Business Development Center, sponsored by Onondaga Community College, to establish a youth entrepreneurial education demonstration program that targets students in grades 4-9 for the purpose of educating them in the area of business and entrepreneurship. At the present time, there is no project of this kind offered anywhere in the State. This demonstration program would provide opportunities for students to understand business concepts and how to apply them in today's competitive society. If young people of today are to be prepared to succeed in the business world, there must be innovative ways of educating them, which is the goal of the youth entrepreneurial education program. In the food sector of our economy, many successful enterprises have been started at home or on the farm by individuals who may not have an advanced degree or investment income but who have created a great recipe or family dish that could be developed into a profitable product. The growth of these types of businesses is often dependent on affordable, available processing space, financing, management assistance and other services that can nurture an emerging firm. Kitchen incubators are similar to other types of business incubators; they provide inexpensive space, shared services, access to financing and other support to multiple small enterprises such as specialty food producers, farmers, street vendors, restaurants, caterers, and foodservice training programs. The goals of these "kitchen" facilities are to foster entrepreneurship, job development, and community revitalization. An additional goal is improving local farm sustainability by providing an outlet for farmers to sell, or add value themselves, to their farm products. Creating a program for small-scale food businesses will benefit local economies, workers and farmers. This bill would provide seed funding for communities to establish facilities that provide opportunities for individuals to become food business owners which in turn, creates jobs for the surrounding area. Such facilities could also participate in workforce training and development. New and creative markets must be developed to aid New York's farmers. Improving profitable operations of farmers will ensure the viability of the industry. The type of market expansion envisioned by this bill will help the State maintain and enhance agriculture as a viable segment of its economy and as an economic resource of major importance. This bill would benefit New York's farmers who are facing increased competition and a lack of markets for their products by allowing them to apply for and receive a "small business distillery license." This license would allow farmers to manufacture and sell certain alcoholic beverages made in New York State from facilities located at the farms themselves. Presently, the Division of Small Business has the power and duties to coordinate the activities of all State agencies performing functions affecting the operation of small-businesses within New York State. Incubators are vital resources for small businesses. This bill would allow the Division of Small Business to conduct surveys of all incubators in the State, as well as access the need for additional incubators, to nurture the growth and development of small businesses in New York State. Development centers currently provide needed services - including orientation and screening of prospective entrepreneurs, analysis of business concepts and technical feasibility, and market and management analysis - to eligible clients. The centers also provide business and financial planning assistance. This bill would allow development centers to refer eligible clients to business incubator facilities in order to enter into agreements to access shared support services. Individuals, sole proprietors and small business owners who otherwise would not have the monetary resources available to successfully expand their business opportunities would benefit from the greater community partnership this legislation creates. The New York State Public Service Law currently requires that the Public Service Commission require telephone companies to offer a plan for the deferred payment of installation charges for residential telephone lines of up to one year. The result is that persons who otherwise could not afford to pay the installation charges may pay over the course of a year. This bill would extend such a payment option to small businesses, thereby easing the burden of start-up and expansion costs with respect to telephone service, which is a necessity for many small businesses. Easing telephone installation charges would lessen start-up burdens and expansion costs for new small businesses and would therefore serve to encourage and increase small business in New York. In 2001, the Assembly's Small Business Committee once again considered a package of bills aimed at assisting small businesses in complying with environmental laws and regulations. These measures would assist small businesses in obtaining loans in order to comply with environmental regulations and encourage companies to implement pollution prevention measures as a proactive and effective means of compliance. This bill would assist small businesses in the pursuit of pollution prevention opportunities and compliance with Federal and State environmental laws. This bill would direct the DED to assist small businesses through the Industrial Effectiveness Program in obtaining technical and financial assistance for pollution prevention and environmental compliance for any State or Federal environmental law, rule or regulation. Within the past decade, several newly enacted Federal and State environmental laws and regulations, such as the Federal Clean Air Act of 1990 (42 U.S.C. § 7401 et seq) and the State Clean Air Compliance Act of 1993 (Chapter 608), have imposed considerable new burdens on many small businesses across New York State. As a result of these new regulations, many small companies must now invest in pollution control equipment at a time when access to capital for small businesses is often difficult. Both private and public sources of financing have historically avoided small business lending for environmental compliance because of the relatively higher risks and administrative costs associated with those loans. This bill would establish the Small Business Environmental Compliance Fund within the New York State Environmental Facilities Corporation (EFC). The fund would assist small businesses in leveraging loans from private lenders for the acquisition of pollution control equipment. EFC would administer a loan loss reserve to support private-sector loans to small businesses seeking to comply with the requirements of the Federal Clean Air Act, the State Clean Air Compliance Act of 1993, the Federal Clean Water Act, and the State's Industrial Hazardous Waste Management statute. The fund would back up to 90% of a loan, with the size of the loan capped at $500,000, and a maximum term of seven years. This bill would establish the Small Business Clean Environment Compliance Fund within the EFC. The fund would be used to encourage private lenders to make pollution prevention or compliance loans to small businesses backed by a loan loss reserve fund. By increasing the ability of small businesses to meet new regulations through increased access to funding, companies will be able to maintain the same level of product and employment. This bill would authorize the regional office of DED to provide information and assistance to small businesses for environmental compliance with Federal and State laws and implementation of pollution prevention measures, as well as assist small businesses in obtaining loans, grants, or other financial assistance from other programs operated by DED, Department of Environmental Conservation (DEC) or other State or local agencies. Small business owners can provide valuable information to public policy discussions, hearings or roundtables. By having these forums, the Small Business Committee can focus its energy on legislation that will benefit the State as a whole. The New York State economy, as well as the national economy, has faced a marked slowdown. In addition, the impact of the September 11th terrorist attacks have hindered economic growth. In view of these factors, New York State's vitally important upstate businesses need greater attention to place the economy back on the road to success. The scope of this hearing was to review the local economic conditions and to hear from interested parties of potential ways the State may assist with these endeavors. The Small Business Committee is determined to address the future needs of small businesses, making New York a supportive environment for their growth. Issues of regulatory reform, small business taxation, capital access, high technology and skilled workforce expansion are priorities of the Committee. By understanding the needs of businesses and how their interaction with State government may assist small business growth, we will be better able to make New York a place where small businesses will prosper. Small businesses account for over 99% of businesses in New York State and employ 55% of the State's workforce. While small businesses are the backbone of the State's economy, the current administration allocates only 14% of its entire economic development budget to helping small businesses. Due to the impact on the workforce of New York, it is extremely important that small businesses and government work together to ensure that New York has a highly trained workforce. The Small Business Committee will continue to investigate ways to develop skilled workers. Finding new ways to provide money for small business expansion and providing access to capital for ew business start-ups will again be a priority for the Committee. Providing small businesses with relief from unnecessary or burdensome regulations and fees will be addressed by the Committee in the upcoming Legislative Session. The Committee will also work to strengthen the ability of local communities to attract and grow small businesses, particularly in older downtown areas and business districts. In addition, the Committee is determined to connect New York's academic environment with the small business community. By providing ways for small businesses to increase their research and development capabilities, New York's economy will become one of the world's finest and most productive economies. The Small Business Committee is eagerly awaiting the upcoming year with new ideas and new ambition. We are well on our way to ensuring prosperity for New York's small business sector. Provides New York Companies with additional information regarding publicly bid contracts. Permits the NYS Small Business Development Center, Sponsored by Onondaga Community College, to establish a youth entrepreneurial education demonstration program that targets students in grades 4-9 for the purpose of educating them in the area of business and entrepreneurship. Directs the Department of Economic Development to assist small businesses through the Industrial Effectiveness Program in obtaining technical as well as financial assistance for pollution prevention and environmental compliance for any State or Federal environmental law, rule or regulation. Assists small businesses in complying with the federal Clean Air Act, the State Clean Air Compliance Act of 1993, the federal Clean Water Act and the State's Industrial Hazardous Waste Management statute.. Provides start-up and expansion funding for not-for-profit sponsors of small-scale food processing facilities. Assists small high-technology businesses in securing federal research contracts under the Small Business Innovation Research program. Provides financial assistance to small businesses for pollution prevention and compliance with federal and state environmental laws. Ensures the confidentiality of information furnished by small businesses to the New York State Environmental Facilities Corporation in connection with EFC's provision of multimedia environmental assistance. Establishes the Business Outreach Center Network Assistance Program within the Department of Economic Development. Authorizes state and federal credit unions to participate in the Excelsior Linked Deposit Program. Authorizes the Department of Economic Development to provide information and assistance to small businesses on environmental compliance requirements and pollution prevention. Directs the Department of Economic Development to study the attrition of small retail business from the State and create a pilot program to help maintain the existence of small businesses within the State. Requires telephone companies to offer a deferred payment plan over a period up to one year for installation of telephone lines and any nonrecurring maintenance service. Encourages financial institutions to provide welfare recipients and other customers with the option of opening special long term, fixed rate savings accounts. Establishes the "small business farm distillery license." Relates to a tax credit for expenditures related to year 2000 compliance. Authorizes the New York State Comptroller to establish a small business retirement plan assistance program. Authorizes the Division of Small Business to conduct surveys of all incubators in the State. Allows development centers to refer eligible clients to business incubator facilities, for the purpose of entering into agreements to access shared support services..